Van véleményed az Architecting Applications for the Enterprise, Second Edition – Dino Esposito termékről? Értékeld! 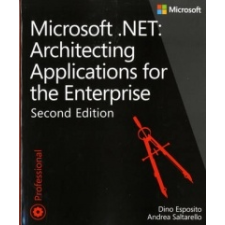 Tedd fel kérdésed a(z) Architecting Applications for the Enterprise, Second Edition – Dino Esposito termékről!